Welcome to the world of one-place studies! Twenty-six of our members are sharing something in their particular place for this year's A-Z Blogging Challenge. Join Stephen Daglish in Great and Little Kimble in Buckinghamshire for a show of horsemanship. In My Place, horses have been important for both work and recreation. My place is Great and Little Kimble in Buckinghamshire, an agricultural parish where farming was the main industry and employer and where horses were part of daily working life - but they were also important to recreation and pastimes in the village. Fox hunting has been part of rural life in many parts of England for many years, becoming fashionable amongst the wealthier classes in the 19th century – though it is now a controversial subject. Kimble was within the area of the Berkeley Hunt (which claimed to hunt from Berkeley Square in London to Berkeley Castle in Gloucestershire), and Kimble became the site of The Old Berkeley Hunt (West) which had its kennels based in the hamlet of Kimblewick within the parish. In 2002, following a number of amalgamations, the hunt was re-named the Kimblewick Hunt with its area covering parts of Bedfordshire, Buckinghamshire, Hampshire, Hertfordshire and Oxfordshire. The hunt also organises the annual Kimble point-to-point horse race meeting held each Easter Saturday. 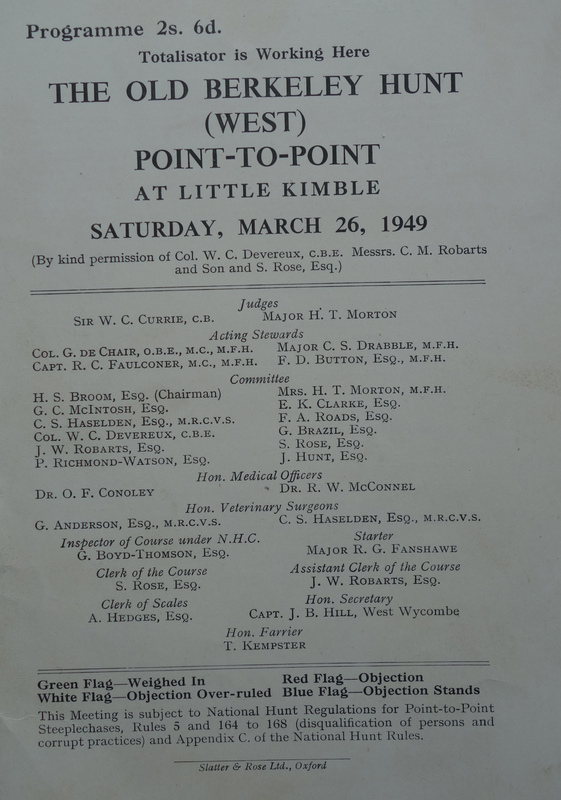 The idea of "point-to-point" was to give amateur riders a chance to exercise their horses between February and May, outside of the hunting season. 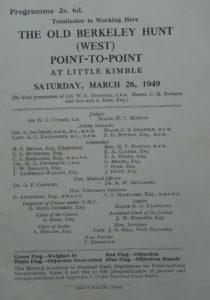 The first Kimble point-to-point meeting was held in 1912, and the event quickly established itself as the largest in the village calendar. Following the Second World War, crowds of up to 20,000 attended - and the event still attracts several thousand every year. In 1974 the Queen Mother was there to give the prizes, and the close proximity to Chequers (the country home of the British prime minister) has helped to attract prominent politicians over the years. 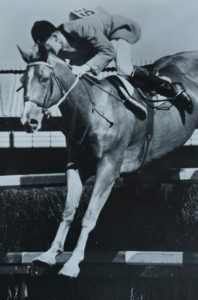 Kimble also has a long tradition of show jumping. Among the riders to compete was villager Alan Oliver (1932-2006), who first came to attention winning competitions as a boy and who went on to have a long and successful career as a show jumper in the 1950s, and later as a course designer. He also achieved fame through a plot in “The Archers” radio show on the BBC in 1957 in which he sold the Archer family a horse “Red Link” – an actual horse. The producer’s idea was to “buy” a novice horse early in the season and follow its progress to victory at the Horse of the Year show in October – a long shot in true life. Things did not go well as Red Link at first failed to jump a clear round – but eventually won his way through to a regional final and then qualify for a place in the final. The cliff-hanger ended with Red Link, ridden by Oliver, finishing second in the Horse of the Year show final. For an agricultural community, the horse played a key role which has been reduced with the introduction of mechanisation. 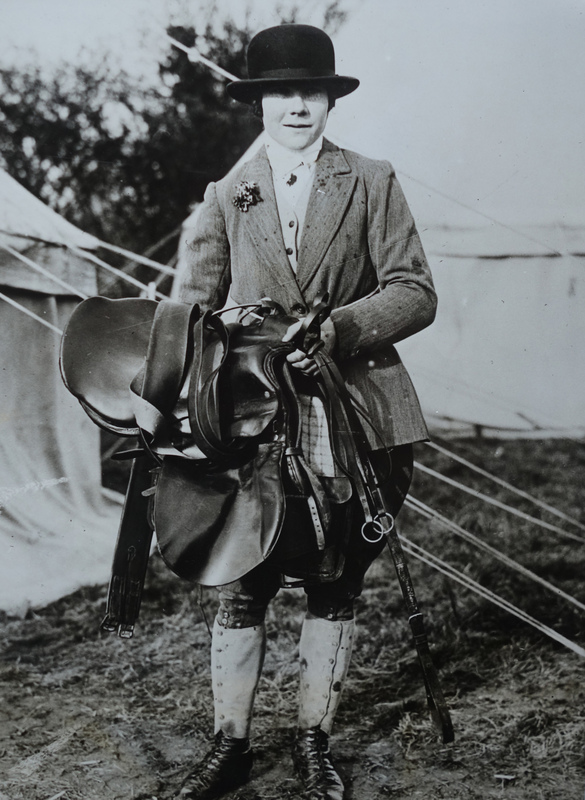 But the traditions of horsemanship continue to survive and are passed on through pony clubs, gymkhanas and so on. Horses are still a part of the way of life In My Place.